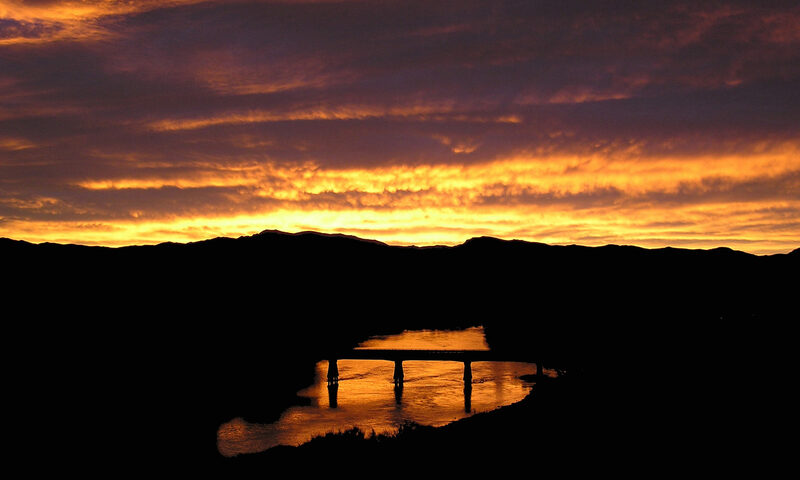 Why choose us for your new Wanaka Website? Jo @ SpiderWeb Design, Wanaka, is approachable and gets the job done quickly. She is usually one step ahead of the client in getting the site up and running. Jo’s ability to explain and guide clients through Content Management systems reflects on her past experience teaching. is made easy for you? is explained in clear terms? guides you through the process? gives you as much or little control of the website content as you want? 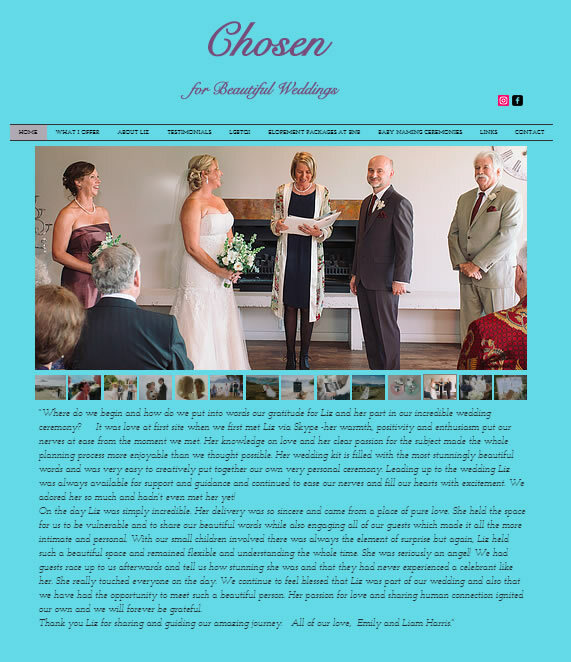 Celebrant Liz Maluschnig had put together a WIX website a number of years ago and it was looking a bit tired. She had ideas for a new layout but wasn’t confident in being able to create that look so asked me to help. I was initially a bit reticent to work with WIX as I did not think WIX websites worked well with search engines but after a bit of research found that the principles of good content is what gets you the SEO ratings and Google did not differentiate the platform that the website was created on. 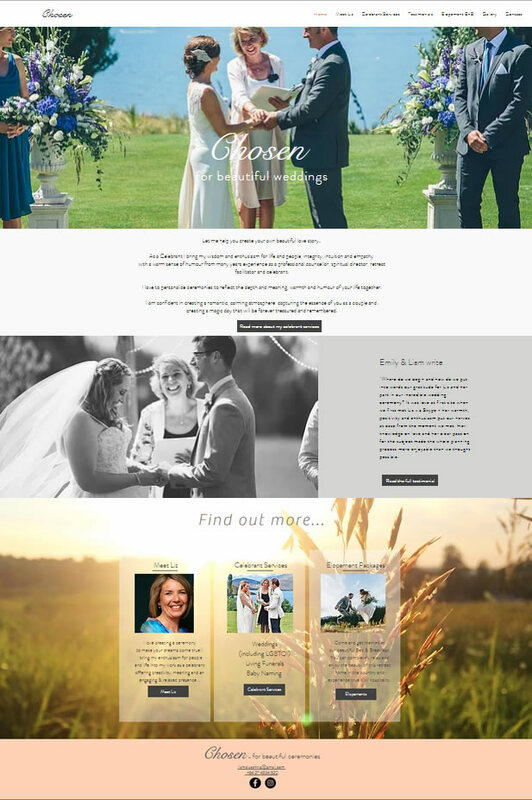 It was fun creating Liz’s new website and you can see from the the first image – the new website came out looking pretty good compared to the blue page! Thanks Jo for all your patience during the establishment of our website. It is already receiving positive feedback and families have commented on how easy it is to navigate around.